NEW YORK, NY (8 Nov, 2016) – The Caribbean remains a top seller for Travel Impressions, one of the largest leisure tour operators in the United States. “Of our 200 destinations, 23 of the countries we sell most frequently are found in the Caribbean. The islands and resorts in the region have been integral partners throughout our 42-year history, and it’s important to celebrate and support tourism to one of the most gorgeous and popular vacation regions in the world,” said Tim Statz, Travel Impression’s business development manager. Travel Impressions was one of 22 Caribbean Tourism Organization (CTO) members and partners who joined the recent Caribbean Goes Road Shows & Seminars to the east coast of the United States, with stops in New Haven, CT, Collingswood, NJ and Boston, Massachusetts. More than 250 top-producing travel agents were brought up to date on “Caribbean Romance and More” through presentations, tradeshows, seminars and networking meetings. “There is a renewed level of interest in the Caribbean among travel professionals, and as a region we should embrace this opportunity. The CTO road shows provided a platform for destinations and members of the private sector to showcase their products under one umbrella,” said Christine Noel-Horsford, the Grenada Tourism Authority’s director of sales and marketing in the US, and a co-chair of the east coast series of the CTO’s Caribbean Goes road show. “The north east is our number one source market, and we look forward to seeing a spike in business from those areas,” she added. Along with Noel-Horsford, Lorine St. Jules, the director of marketing in the US for the Saint Lucia Tourist Board co-chaired the east coast road shows. She, too, spoke of the importance of this event to her country. With romance being a leading feature during the road shows, the presence of the region’s top expert on the subject added even greater value for the travel agents and to the event. Jacqueline Johnson, the president and chief executive officer of Global Bridal Group, which includes MarryCaribbean.com, described the events as “excellent”, and was highly complementary of the participating destinations. 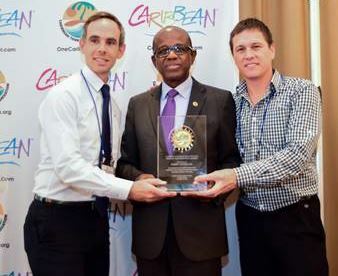 “The Caribbean Goes Road Shows were excellent. Every detail was thought of and implemented, there were lots of agents at each stop and most important, the destinations participating were all on their game. I am proud and honoured to be involved with this prestigious organization,” she said. The main objectives of these road shows are to raise awareness of the Caribbean as America’s premier warm-weather holiday destination and to keep top-producing travel agents up-to-date with the latest developments and the variety of experiences that the Caribbean offers to help them drive business to the region. The road show locations were selected based on a combination of elements, including travel agents with a propensity to book Caribbean travel, demographics of travellers, proximity of airports, as well as current and new airlift to the Caribbean. 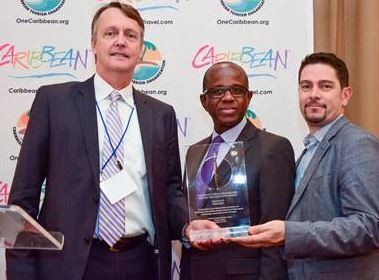 “Our Caribbean Goes Road Shows provide our members with the opportunity to meet travel agents in key feeder markets where the Caribbean is sold,” Sylma Brown, director of CTO USA said. Participating destination and partners of the 2016 east coast shows included: Anguilla, Antigua & Barbuda, the Bahamas, British Virgin Islands, Caribbean Airlines, Celebrity Cruises, Central Holidays, Club Med, Delta Air Lines, Dominica, GoGo Vacations, Grenada, MarryCaribbean.com; Martinique, Radisson Grenada Beach Resort, Saint Lucia, Tobago, Travel Impressions, Turks and Caicos Collection, Sandals & Beaches Resorts and Vacation Express. BRIDGETOWN, Barbados, 1 Nov, 2016 – The United Nations agency responsible for the promotion of responsible, sustainable tourism is partnering with the Caribbean Tourism Organization (CTO) to deliver a regional workshop on sustainable destination management and marketing next month. The 5-9 December workshop, which takes place in Saint Lucia, is being delivered by experts selected by the World Tourism Organization (UNWTO) and will explore issues related to competitiveness, quality assurance and sustainable destination criteria, with a strong emphasis on trends, best practices and success stories aimed at helping destinations compete globally, according to Bonita Morgan, the CTO’s director of resource mobilization and development. “We have the advantage of having the UNWTO bring to us expertise with international experiences, models and success stories as we expose the participants to what the possibilities are out there to help them develop a better product, or deliver a better service so their overall strategy for destination management and marketing can be successful,” Mrs. Morgan said. Among the key areas being explored are innovation in marketing, destination competitiveness, developing sustainable tourism experiences and successful models in destination management and marketing. The first day is being billed as a forum and will be open to a broad spectrum of stakeholders in Saint Lucia so that they can benefit from the experiences and expertise of the UNWTO facilitators, as well as allowing as many residents as possible to share their views and experiences with a local and region audience. Topics to be covered will include global and regional tourism performance and trends, consumer trends and effective marketing and pillars of sustainable and competitive destinations. A number of site visits have been included in the programme, during which participants will use the information they garnered to critique the local destinations and use the experience to help enhance their own products and tourism services. The executive training workshop organized by the CTO and the UNWTO through its Themis Foundation, is being held in collaboration with the Saint Lucia Tourist Board. It is open to high-level decision makers in the national, regional and local tourism administrations and organizations, as well as senior tourism practitioners from tourism associations and industry groups and travel and tourism practitioners from the Caribbean and the Americas. For further information, including how to register and participate, visit www.onecaribbean.org or email [email protected] For further insights regarding the forum and workshop please view a video interview with Mrs. Morgan at: http://bit.ly/2eQHM2W. BRIDGETOWN, Barbados – The Caribbean Tourism Organization (CTO) is deeply saddened by the tragic loss of life and the extensive damage inflicted on our member countries and neighbours by the dangerous Hurricane Matthew, described as the most powerful storm to hit the Caribbean in a decade. Even in its weaker form as a tropical storm it inflicted loss. Our prayers are with the Government and People of Haiti where the death toll has soared to more than 400 and where there is still not full recovery from the destructive earthquake of 2010. We also express our prayers and concerns for The Bahamas – which still has not received the all-clear and which has been recovering from last year’s Hurricane Joaquin. We await a full assessment of the damage in The Bahamas, as well as in St. Vincent and the Grenadines where a young man lost his life when Matthew struck as a tropical storm. Several other CTO member countries, including Cuba, Dominica, Jamaica and Saint Lucia have been impacted by the storm; and while we are thankful that there was no loss of life in those countries, we are conscious of the fact that they have suffered some level of damage. Still, we are thankful that life is getting back to normal in those countries and they are open for business. For the worst affected countries the impact, both physical and psychological, will be long-lasting. We offer our sincerest condolences to the families of all those who lost their lives and to those who are grieving their loss, and we assure our support to those who are touched in one way or another. It is evident that in the aftermath of the storm the immediate challenge is to alleviate suffering and provide the necessary support. In the days and weeks ahead we at the CTO and throughout our member countries in the Caribbean will work with our private sector partners the Caribbean Hotel and Tourism Association and others, to do whatever is necessary to offer assistance and to coordinate relief efforts. We have immense confidence in the strength and resolve of our people to prevail.